STI Wins Industry of the Year! 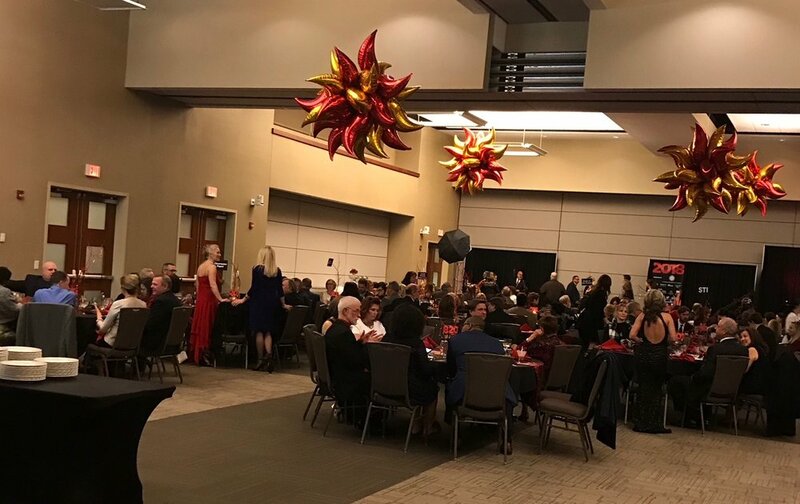 The Cleveland County Chamber Awards Banquet recognizes and celebrates the achievements of businesses and individuals within the county. 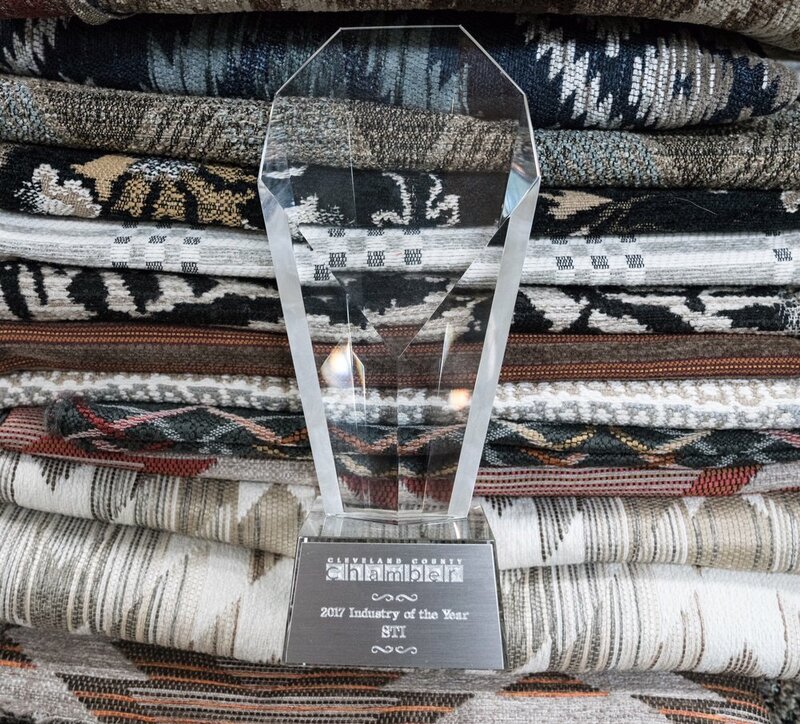 This year, STI was honored to receive the 'Industry of the Year' award! The Industry of the Year award is presented to the industry that has the greatest positive impact on the community. In order to be considered, you must submit an application that thoroughly explains and provides examples of how your company: positively impacts the community, is involved in the community, performs as a business within their industry and has a high standard of conduct. Sandra Jenkins (HR Generalist), Pat Queen (Vice Pres. of HR) and Jill Harrill (Mktg. Strategist) worked together to submit an application that showed how awesome STI is! Check out photos below of STI celebrating at the Chamber Awards Banquet on January 25, 2018. Above: John Kay, President of STI, accepts the Industry of the Year award from Tim Blackwell, owner of Personnel Services. Above: STI wins Industry of the Year! Above: (left to right) Chris Dodds and his wife search for diamonds! ; Some of the STI team having fun at the table; the theme of this year's banquet was "fire and ice" as seen in the decorations!